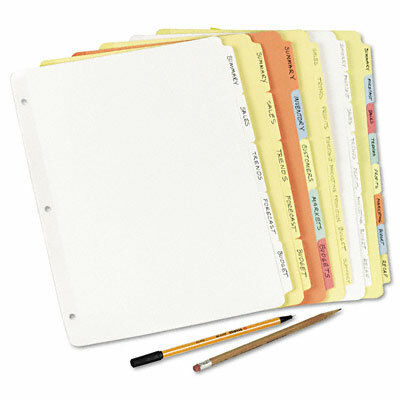 Write directly on the nonlaminated tabs of these economical dividers. Clear plastic reinforcing strip for tear resistance at binder holes. Write directly on the nonlaminated tabs of these economical dividers. Clear plastic reinforcing strip for tear resistance at binder holes. Three-hole punched for use in standard ring binders.